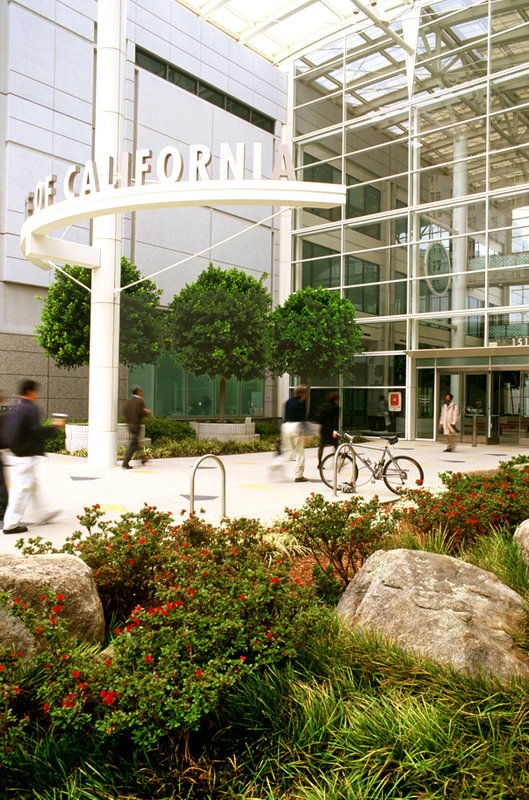 The heart of Oakland’s civic center area has undergone extensive renovation and modernization since the Loma Prieta earthquake in 1989. The 22-story complex on two square blocks — part of the revitalized downtown — serves as one of the key anchors for a pedestrian plaza that links three blocks between Jefferson Street and Broadway. 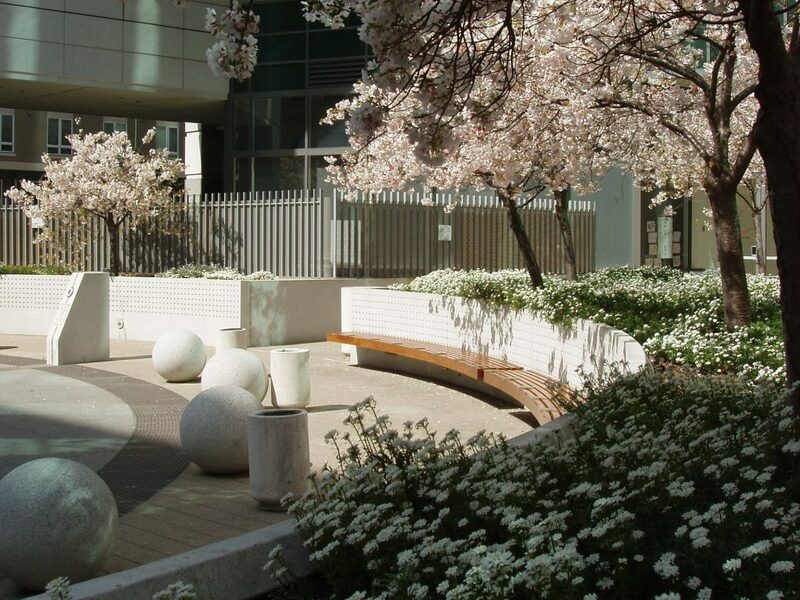 PGAdesign collaborated with Richard Keating to design a formal plaza at the main entry as well as an informal plaza associated with a day care drop-off. The formal entry responds to and connects with the pedestrian link to City Hall Plaza. 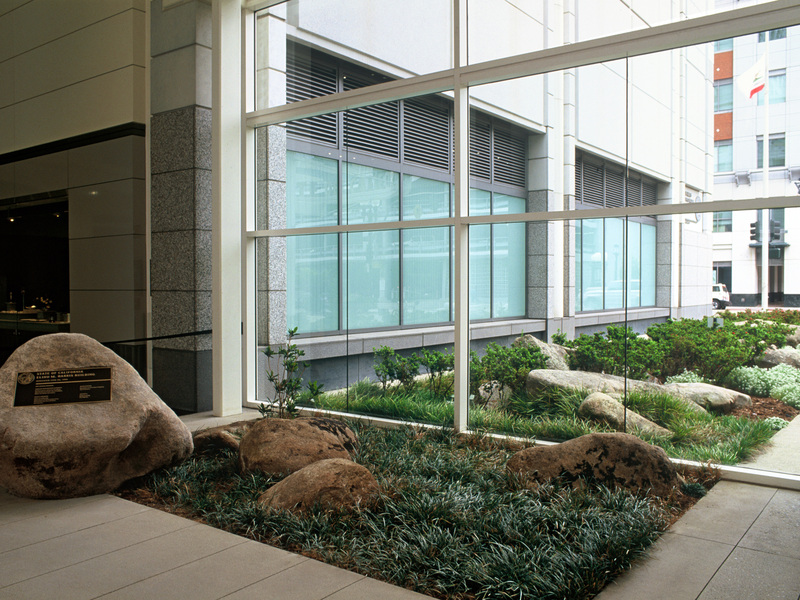 Granite boulders from California’s foothills were integrated into the landscape and architecture, forming a pattern between planting beds and main lobby. 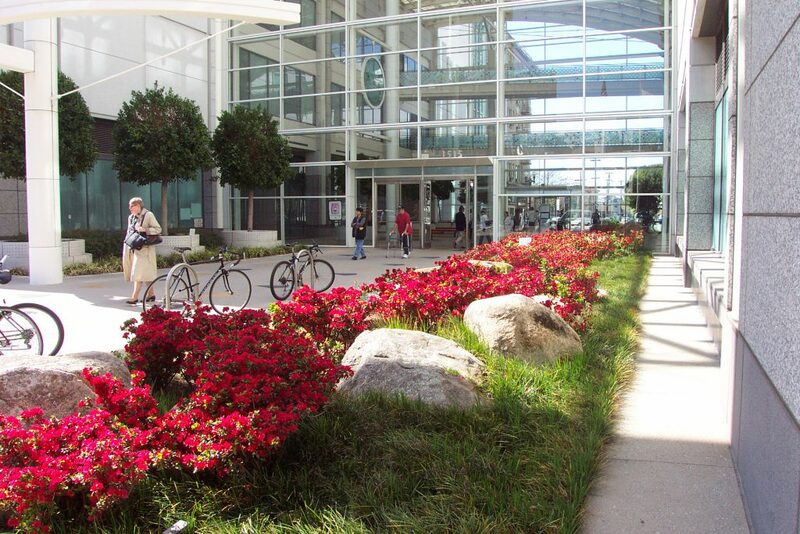 The modern civic plaza conveys dignity by using the quality of materials appropriate to a state government building. This formality extends along Clay Street, where the state building addresses the federal building on the adjacent block. A bold series of elegantly detailed planters guides pedestrians while separating ground-floor offices facing Clay Street. 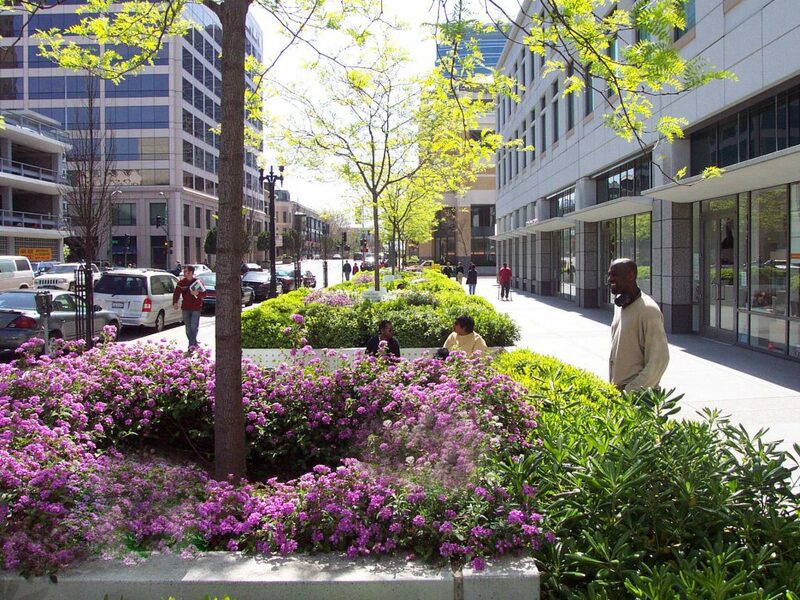 Cathy Garrett effectively resolved conflicts between city design standards and project objectives. The final landscape documents were bid under the public contract process, within the project budget. Field coordination with our construction management team and the Trade Contractor was excellent.